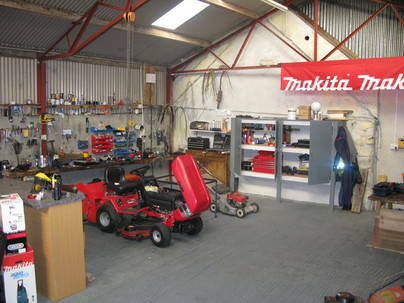 Hear at Gosford Equipment Ltd you will find a fully fitted service centre, to offer the best service to our customers. We carry out all our own service, repairs and warrenty work for the brands we sell. Our technicians carry out all electrical, hydraulical, mechanical and engine work on site. We carry a wide range of genuine & replacment spares and consumables in stock. A collection service is available - Price dependent on location.